Bulk Liquid Salt For Sale in Grimsby and Stoney Creek - Legends Landscape Supply Inc. 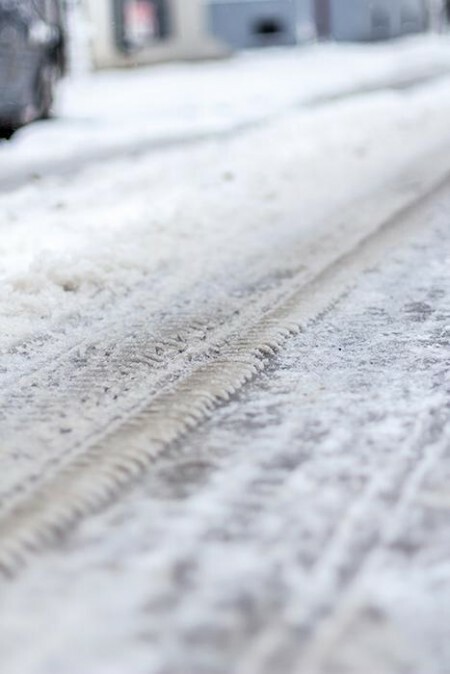 Icy sidewalks, driveways, and roads are common effects of winter across most of Canada. At Legends Landscape Supply, we offer bulk liquid salt de-icers to speed up the melting process and keep the ground clear for longer than traditional dry products. Bulk liquid salt can be sprayed directly to hard surfaces, pavements or walkways. Bulk Liquids can also be added to bulk salt to increase its ability to melt at lower temperatures, and stretch you tonnage farther. We stock huge amount of road treatments, like bulk liquid salt and de-icers, at our landscape supply store and we are open 24 hours during winter storms. Liquid melting products such as bulk liquid salt are most effective when applied to the paved surface before a snowfall occurs, or immediately after the snow begins to fall. When used precisely and properly, these products can actually reduce the amount of salt you use per winter. Come by our showroom and talk to one of our landscape supply store experts to find out if our bulk liquids are the right choice for you. We offer products from a Canadian manufacturer called Geomelt. The product speeds the melting process, and it’s special coating allows this product to be effective at night and at temperatures below -10°C. A mixture of Geomelt 55 concentrate and Tru-Bring Sodium Chloride. Comes in a ready to use mixture. Non-chloride organic salt accelerator derived from sugar beet production. Reduces the corrosiveness of salt by 50-60%.